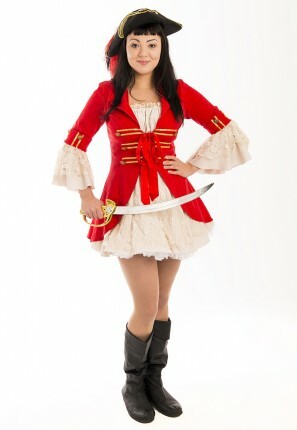 Super cute Pirate girl costume for hire. Perfect for a Nautical or under the sea themed party. Costume consists of red lace up dress and ruffled petticoat. Optional pirate girl hat, black leather pirate boots and sword.